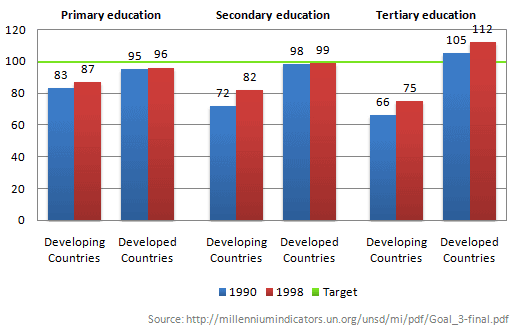 A bar chart or bar graph is a chart that uses either horizontal or vertical bars to show comparisons among categories. One axis of the chart shows the specific categories being compared, and the other axis represents a discrete value. Some bar graphs present bars clustered in groups of more than one (grouped bar graphs), and others show the bars divided into subparts to show cumulate effect (stacked bar graphs). 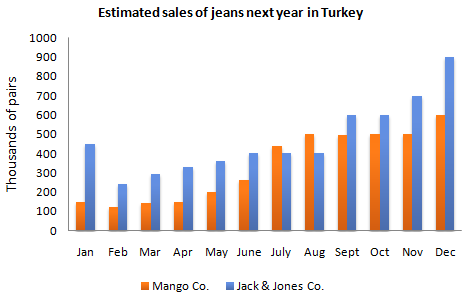 The bar chart shows the estimated sales of jeans for two companies next year in Turkey. 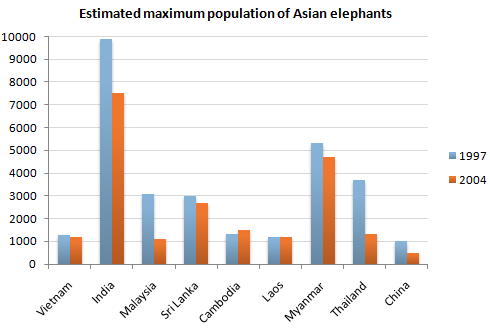 The graph shows the changes in maximum number of Asian elephants between 1994 and 2007. 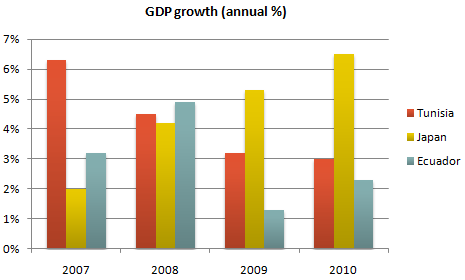 The chart shows the GDP growth per year for three countries between 2007 and 2010. 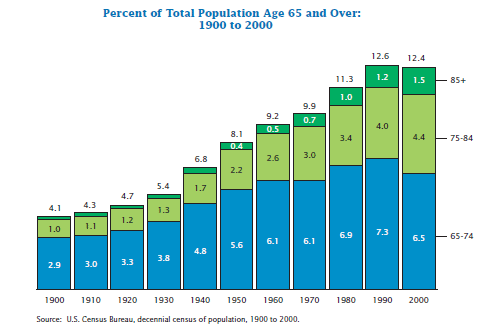 The chart shows the percentage of total US population aged 65 and over between 1900 and 2000. 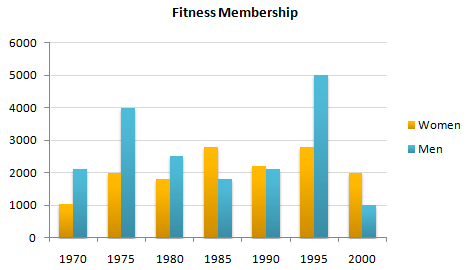 The chart shows male and female fitness membership between 1970 and 2000. The chart shows information about the challenges people face when they go to live in other countries. 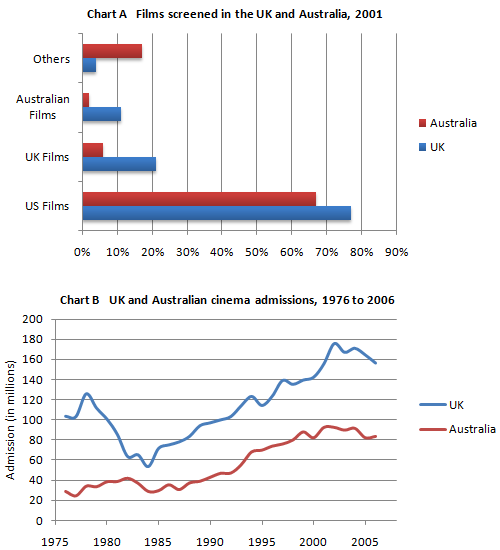 The charts A and B show the share of the UK and Australian cinema market in 2001 and cinema admission in the UK and Australia from 1976 to 2006. 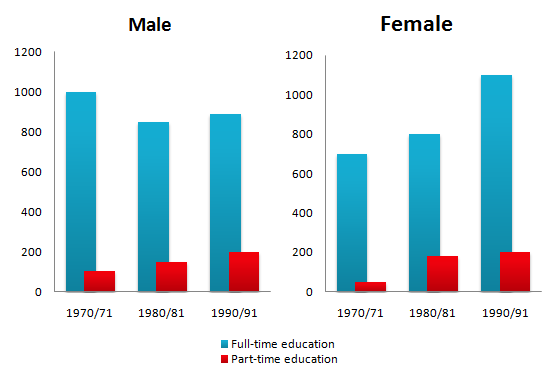 The chart shows the number of men and women in further education in Britain in three periods and whether they were studying fulltime or part-time. 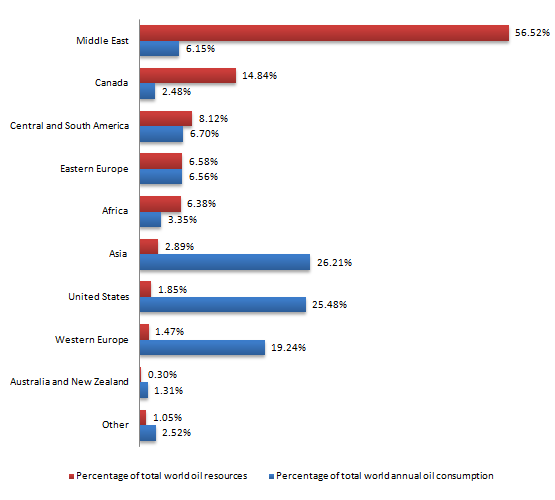 The chart shows the proportions of the world’s oil resources held in different areas, together with the proportions consumed annually in the same areas.